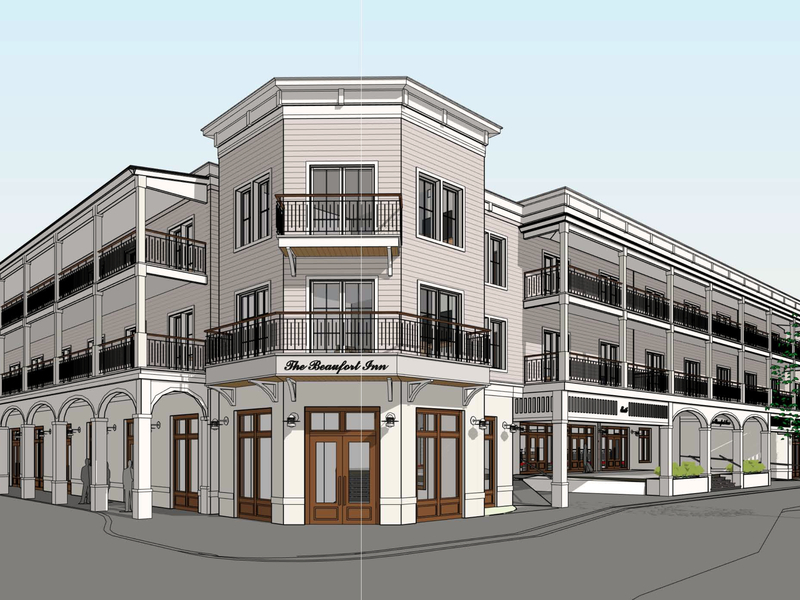 As part of a major addition to the existing Inn, a master plan and design was prepared to add 74 guestrooms on a separate parcel across the street from the existing Inn on Port Republic Street. The new Inn includes plans for retail shops along Scott Street with a pedestrian entrance to the hotel lobby. The Inn includes a bar/food service function, a large two-story lobby, and hotel support spaces. 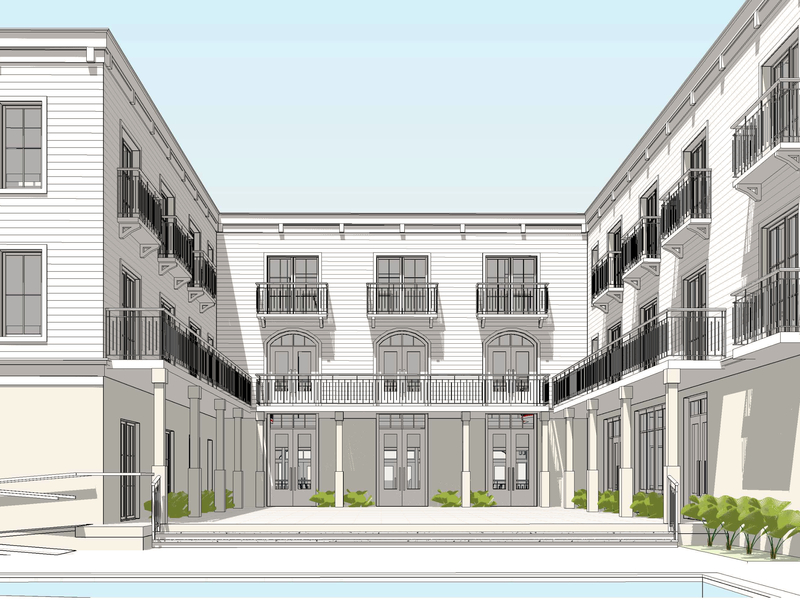 The design concept relates to the site in downtown Beaufort, the surrounding neighborhood and the relationship to the existing Inn.